Planning a night out or special occasion? Unleash your inner hipster aboard a funky old school party cruise with a delicious 3-course dinner included! 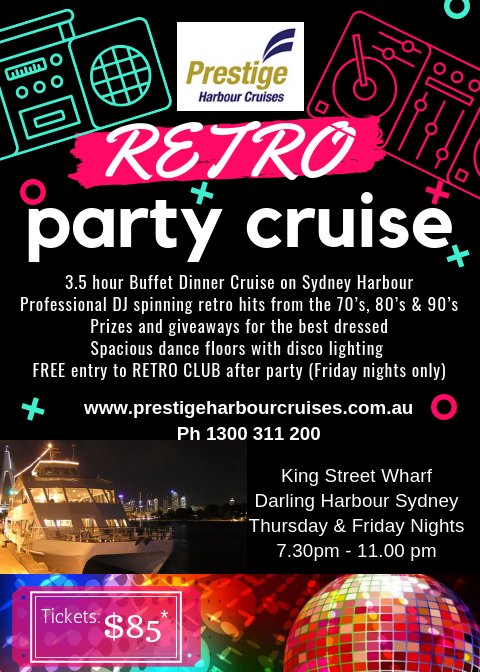 Girls (and guys) just wanna have fun aboard our retro dinner cruise on Sydney Harbour! Kicking off with a delicious all-you-can-eat buffet dinner, you’ll be ready to unleash your best shapes on the dance floor to the ultimate old school beats from the 70’s, 80’s & 90’s! A wide selection of delicious flavours from our buffet menu freshly prepared by our chefs. Option 1, 2, or 3 must be pre-booked and pre-paid through our office. All payments for a consumption bar or dry till must be made at the end of the cruise. Cruise staff reserves the right to refuse alcohol service to any patron as practice of RSA. 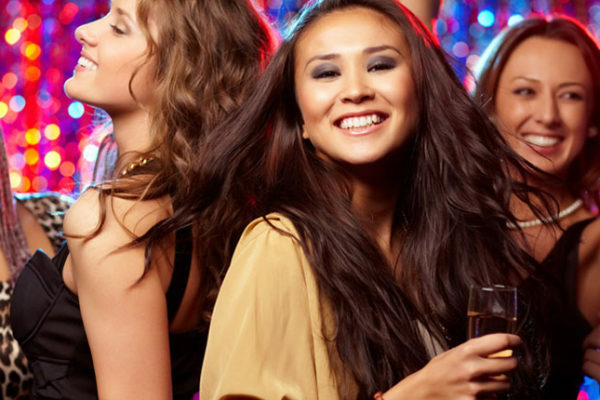 All members of a group booking must be on the same beverage package.